The world of coffee is a growing part of the global culinary scene. Coffee offers us a rare moment of supremacy as a standalone experience. There is an art in purity, whether as a sweet, ripe tomato, a juicy pear, or a perfectly roasted, robust coffee bean. 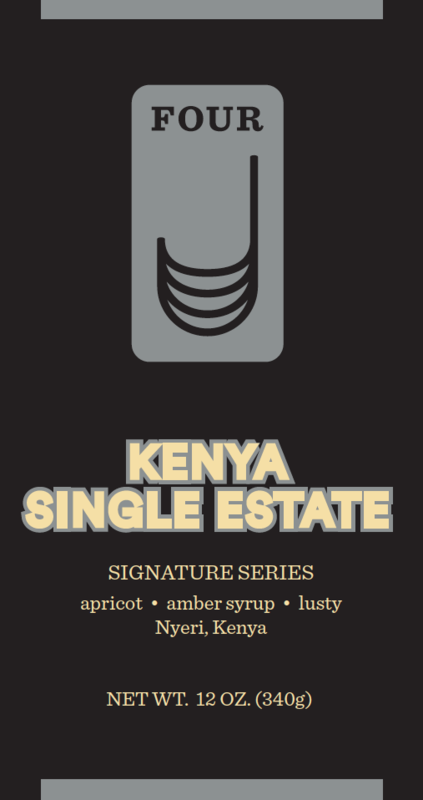 We selected single microlots from the Nyeri region in the shadow of Mt. Kenya to source our beans. The volcanic, loamy soil and high altitude, combined with a diligent farmers’ care for the seedling all the way through to picking and processing, produces an outstanding bean that is never blended with the neighbors’ coffees. Beans are roasted to the exact moment when the coffee’s distinct flavors come to life. Traditional black currant serves as the canvas for distinct flavor notes. Dry, white wine, soft apricot, lush fruit acids and thick dark chocolate all evolve in this sublime cup.